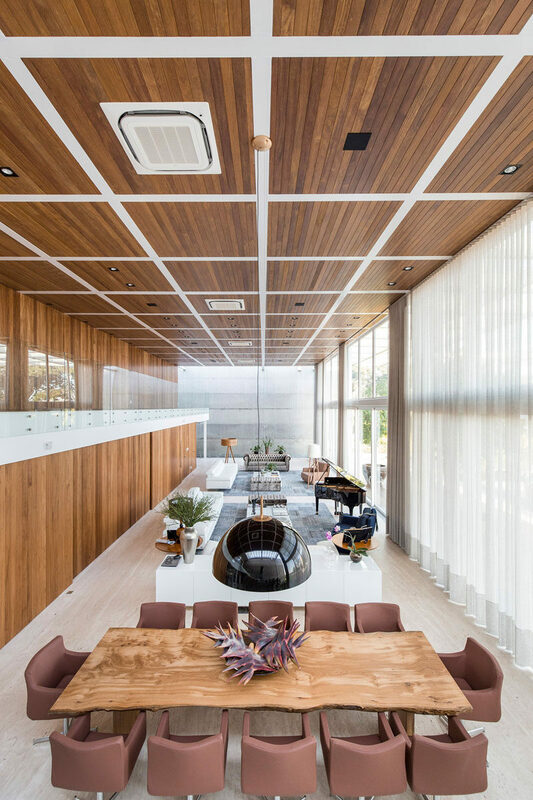 Hype Studio have designed a new modern family house in the neighborhood of Porto Alegre, Brazil, that has three floors, including an underground level for the owner’s antique car collection. 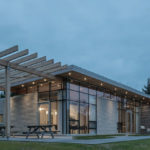 The design of the house uses two large concrete walls on the sides to block the neighbors’ views to the house, granting privacy for the home owners,while an overhang creates a place to sit outside and street view. 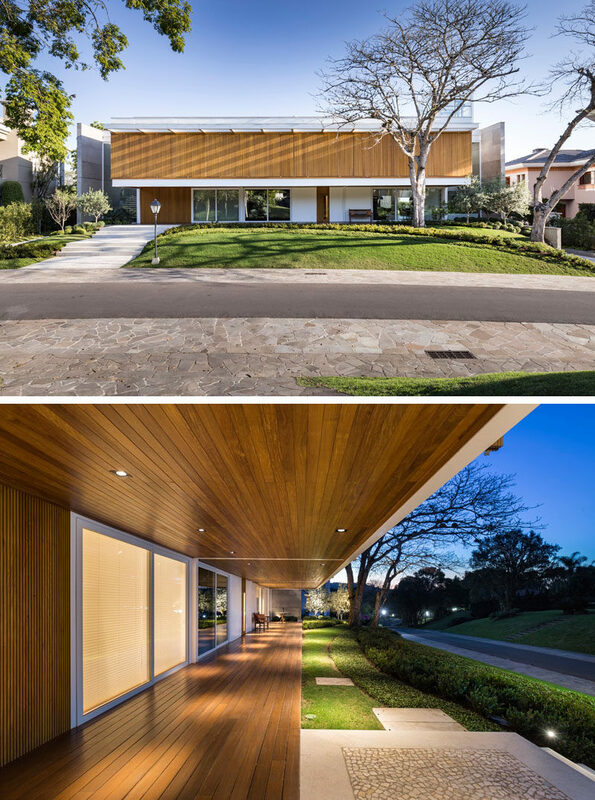 The upper level of the home has wood shutters that blend into the facade when closed, and when open, they allow the sunlight to filter through to the interior. 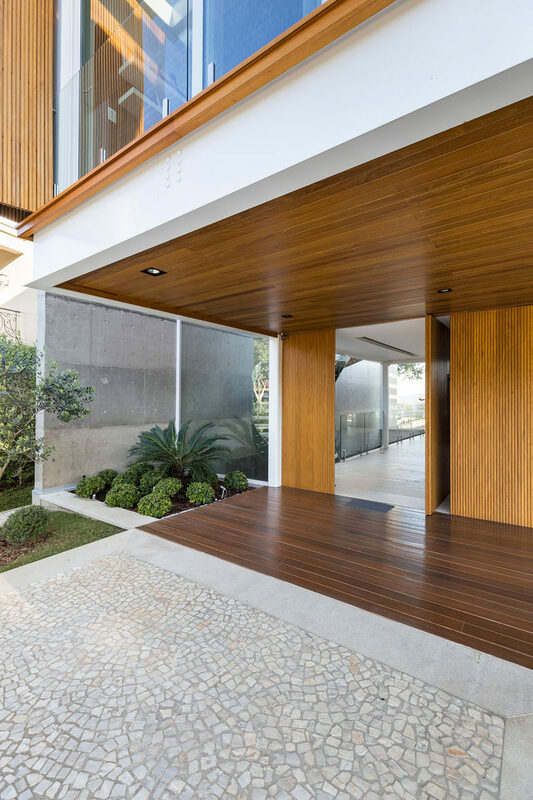 The pivoting wood front door matches the wood used on the upper level of the home. 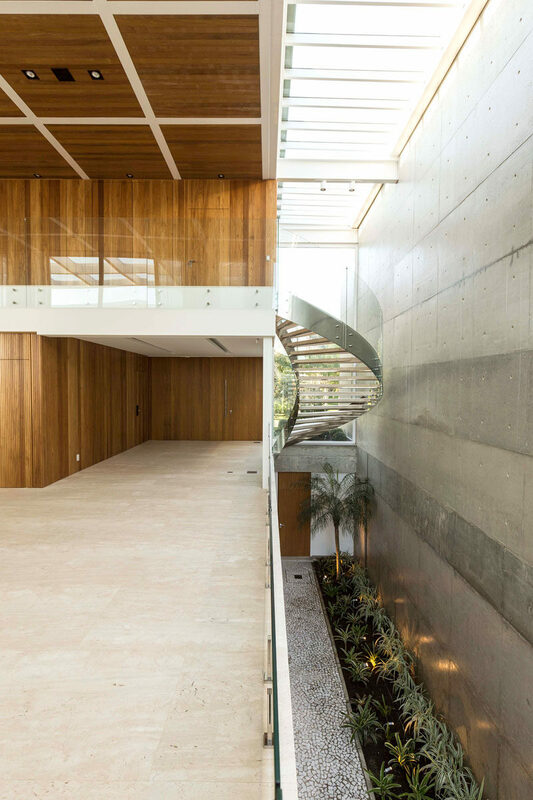 Stepping inside, there’s an open hallway with a view of the stairs that lead to the upper floor, and a view of the large concrete wall found at the side of the house. The entryway opens up to the double-height living and dining area. Large sliding doors make it possible to hide or completely open the home theater and the kitchen to the living room, while another hidden door provide access to a home office. 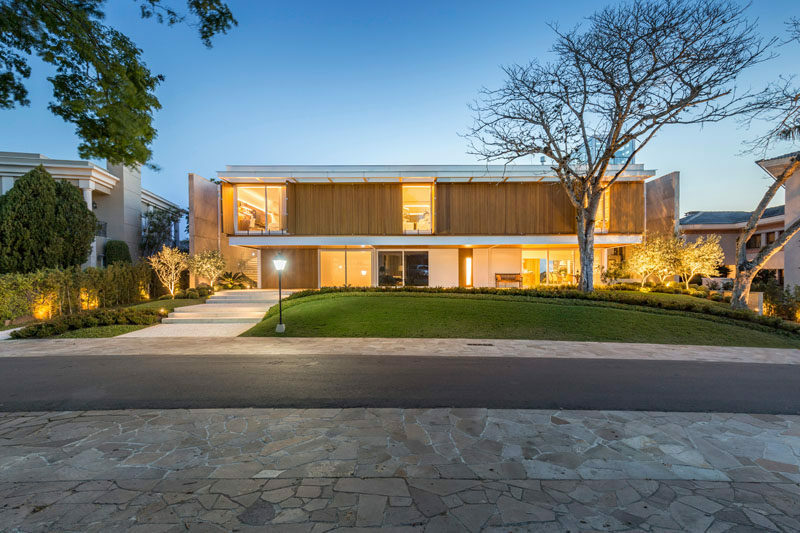 The southern facade of the home has double height glass windows, allowing the entire living room to enjoy beautiful views of Lake Guaíba. 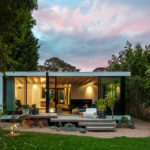 Off the living/dining room is a pergola that follows the steel grid lines of the roof, creating the feeling that the house extends itself, mixing outdoor and indoor spaces. 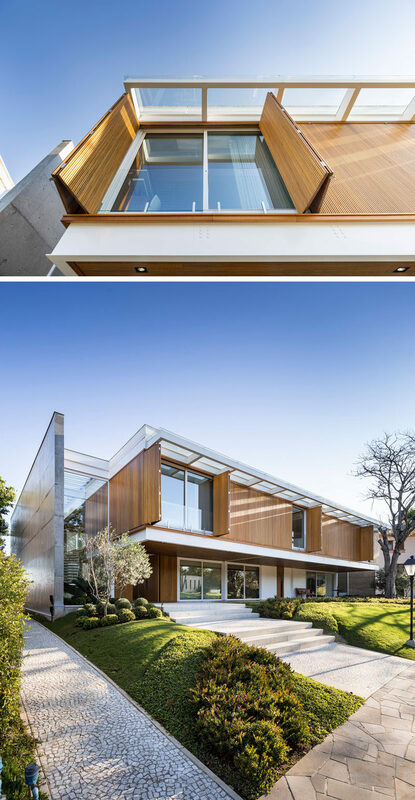 As the home owners like to entertain, a separate building houses a space for entertainment and parties, while a reflecting pool with a glass bottom allows light to travel through to the garage below, and a swimming pool lets people cool off on a hot day. Back inside, and the curved stairs by the front door lead to the upper level of the home that has an open hallway with hidden doors that house four bedrooms, each with their own ensuite bathrooms. 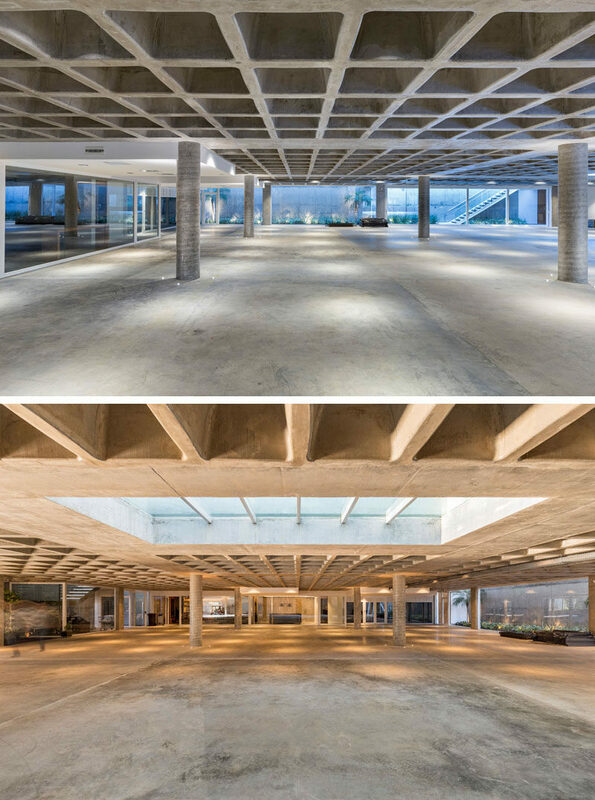 The underground level of the home, which is a concrete box built with a ribbed slab roof that allows large spans, has technical rooms, a wine cellar, a tool shed, staff rooms and parking for 40 cars, that’s used as a small museum for the owner’s antique car collection.